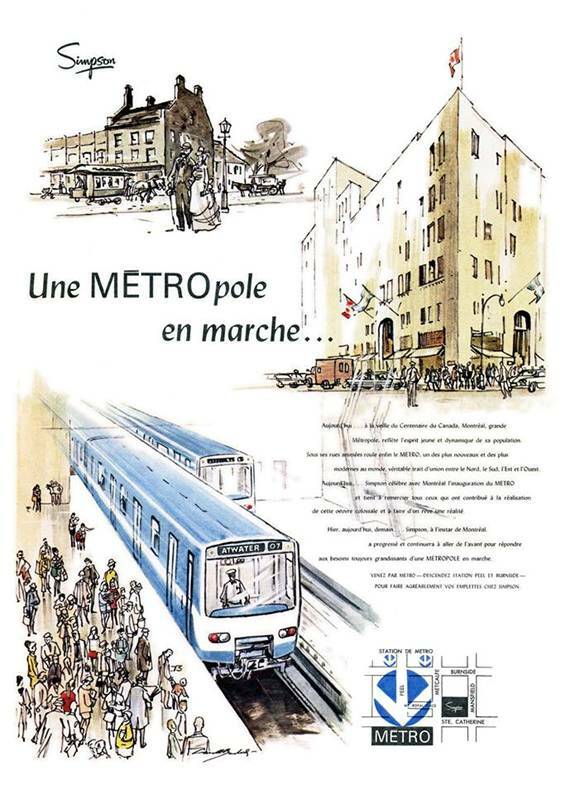 ����������� Even though I went to Montreal in late April to ride the MR-63 subway trains before they retired, STM announced that the trains would make their last runs from June 18 through June 21 on each of the four Metro Lines.� They would run their last miles in revenue service on the Blue line; the only line I have previously not ridden the MR-63s in the past. ����������� As luck would have it, I had most of the week off from Home Depot. After much thought, I decided to return and get my final rides on the MR-63s. 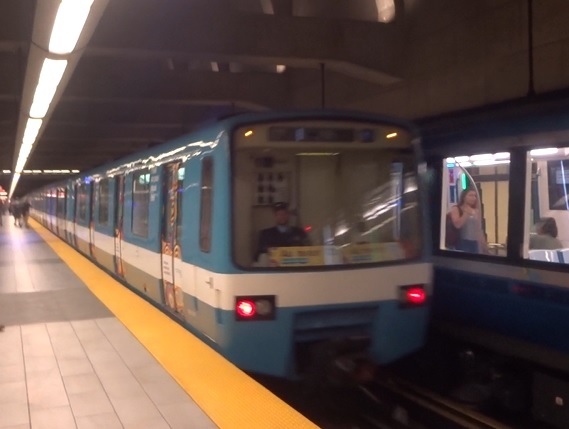 I would miss riding the MR-63s on the Yellow line on June 18th; but would be in Montreal for the days they last run on the Green, Orange, and Blue lines. 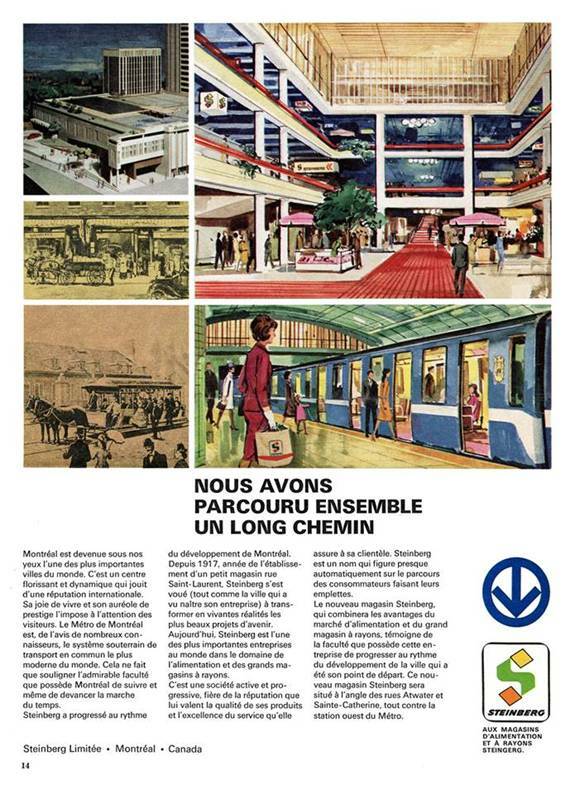 I would ride VIA Train #62 to Montreal and stay until the day after the MR-63 era ended and then take Train #65 home. The trip unfolded as follows. ����������� I took the subway down to Union. I got there around 8:30. I saw that VIA had once again changed the departure of train #97 to New York. It now leaves at 8:55 am. This change must be recent as it left at 8:20 back on my last trip. ����������� I joined the line for train #62. Boarding began shortly after 9:00 am. I was seated in LRC coach #3357 which was wrapped for VIA�s 40th Anniversary. My coach was also the second from the locomotive. 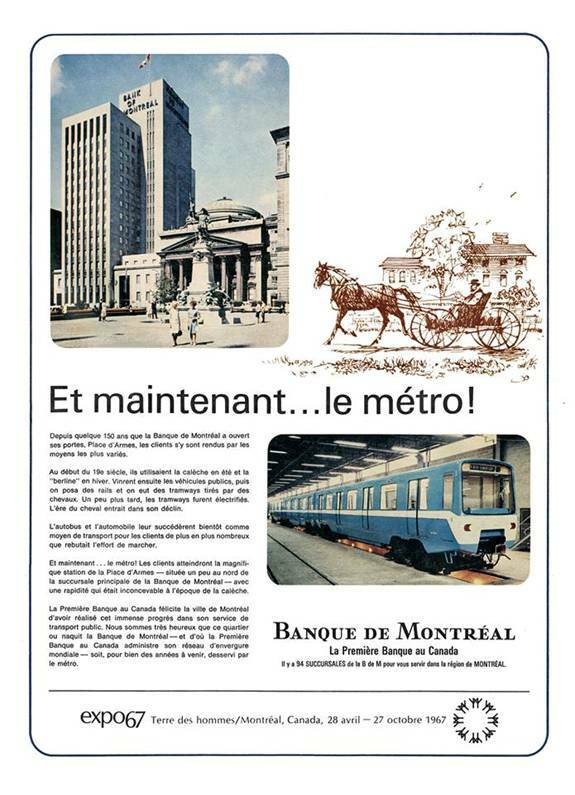 In the past when I�ve ridden this train to Montreal, I was in the last coach. I logged into VIA�s Wi-Fi. The train left on time. ����������� As we passed TTC�s Greenwood subway yard, I filmed it. The Wi-Fi stopped working less than 10 minutes after leaving Toronto. My ticket was taken. I told the conductor the Wi-Fi wasn�t working. East of Rouge Hill, the train slowed down. A Westbound VIA train passed, but I was unable to film it. However, we soon began picking up speed at the west side of Pickering. We stopped in Oshawa a few minutes later. ����������� East of Oshawa, the Wi-Fi FINALLY started working again. As we passed through Port Hope, another Westbound VIA passed, but I was unable to film it. We stopped in Cobourg a few minutes later. ����������� As we passed the Memory Junction Museum, I filmed it. I then walked two coaches back and photographed the locomotive on train #52 which was once again running combined with train #62. ����������� I then returned to my coach seat. As we passed through the Belleville station non-stop, another VIA train passed, but I was unable to film it. East of Belleville, the Wi-Fi stopped working again! However, a little while, it started working again. We soon stopped in Kingston. 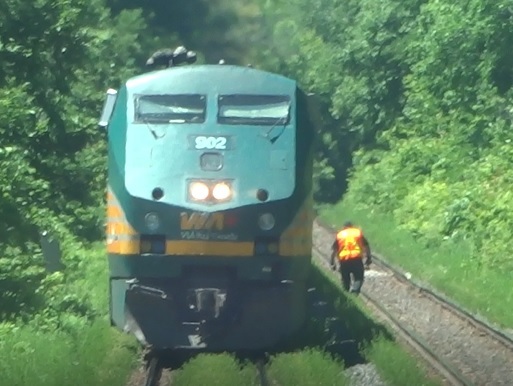 As we departed Kingston, I filmed VIA train #45 as it pulled in. The Wi-Fi stopped working AGAIN! ����������� VIA train #63 passed, but I was unable to film it. I bought some chips from the person serving snacks when they came by. 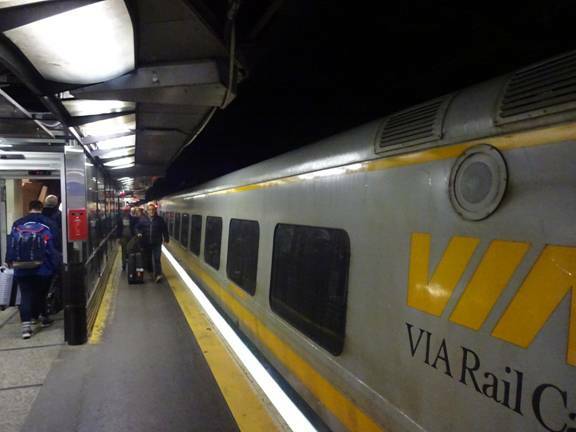 ����������� West of Brockville, we stopped to separate trains 62 and 52. However, they stopped west of the location where the split has happened in the past. I made my way to the last car and photographed the split and filmed the locomotive of train #52 as we pulled away. We then passed through Brockville non-stop. ����������� The Wi-Fi started working again. VIA train #65 passed, but I was unable to film it. ����������� As we approached Cornwall, the Wi-Fi once again stopped working. We stopped at Cornwall a minute later. We were soon underway. ����������� The Wi-Fi started working again. We crossed into Quebec. We stopped at Dorval a few minutes later. We departed Dorval. ����������� A little while later, we were approaching Montreal�s Central Station. I readied my stuff in preparation to get off. ����������� Train #62 arrived 5 minutes late. I got off and photographed the train. This is from my previous trip, but I took a similar photo, but lost it. ����������� I saw the equipment that would be train #67 to Toronto. I then went upstairs and then to Bonadventure Metro station. I bought a three-day pass on the Opus card I bought on my last trip. 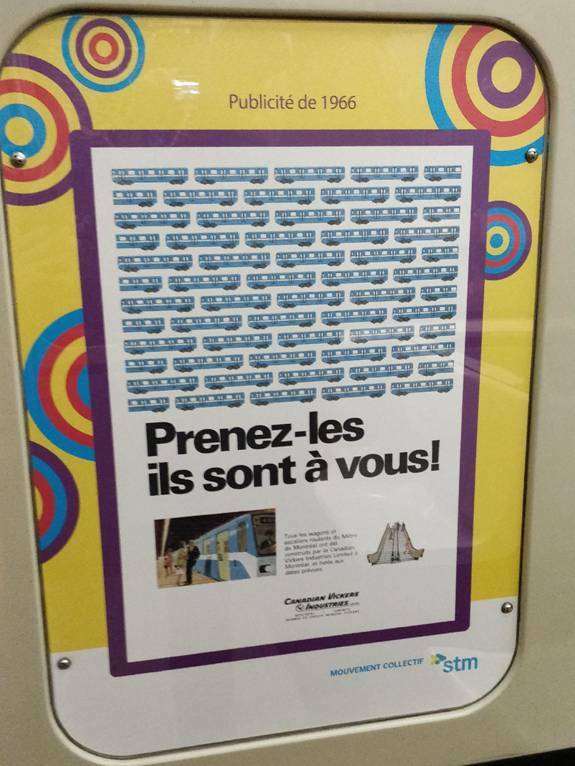 I thought that three days of unlimited travel on STM plus a single ride on Friday was cheaper than a weekly pass. 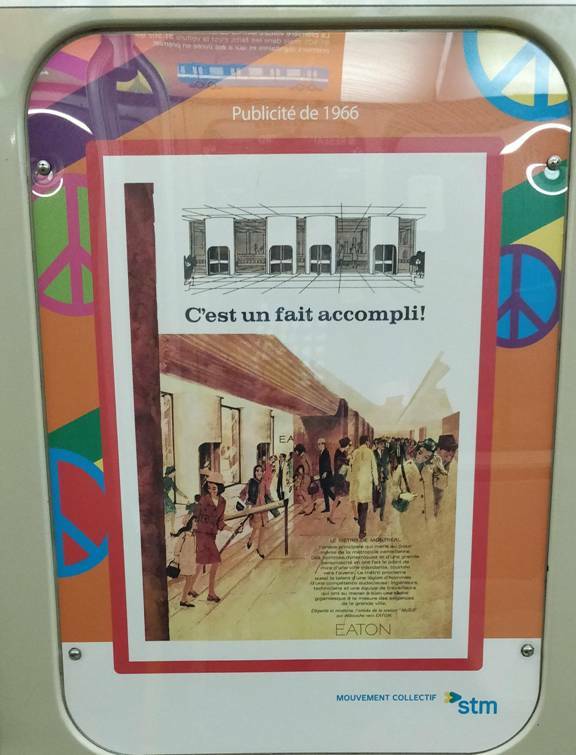 ����������� I boarded an Azur and rode to Barri-UQAM and got off. I filmed the train pulling away. I then boarded an eastbound train on the Green Line and rode five stops to Jolliette. ����������� I then walked to where I was staying. I had booked a place on Airbnb.com. I decided I would give them another chance. I got to the apartment I was staying and went inside. I dropped off my stuff and phoned home. I went online and found the last MR-63 was leaving Honore-Beaugard at 3:00 so I would miss its first westbound trip. I decided I would try to catch it on its return trip. I headed out to the Metro and boarded a westbound train on the Green Line. I rode to Lasalle station and got off. I went over to the other side. I waited for a few trains to pass. They were mostly MR-73s but one was an Azur. After about 4-6 trains passed, the MR-63 pulled in. I filmed it pulling in and boarded the front car. ����������� The train was being led by car #81-501; the very first MR-63. The MR-63s (and MR-73) run in three car sets (or elements as STM refers them as). 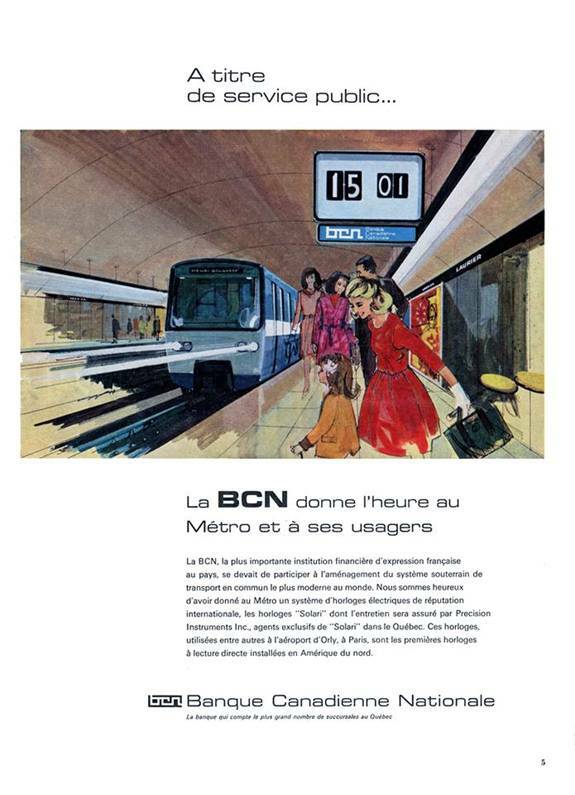 ����������� The interior of the cars had replicas of ads from the 1960s when the Metro first opened. I attempted to photograph them. This was my only pic I got of the ads that I still had at the end of the trip. These last four pics are by CPTDB member FelixINX. These pictures are from STM and used with permission. Posted with permission from STM. ����������� There were a couple transit fans riding the train as well. I chatted with them. ����������� The MR-63s were built by Canadian Vickers; a company more designed towards making ships rather than trains. As a result, the horn (which I would hear multiple times the next three days) sounded like a ship�s horn! ����������� When we got to Honore-Beaugard, we got off the train. The train pulled into the tail track to head out on the opposite platform. When the train pulled into the station, I filmed it pulling in. ����������� I boarded the 7th car of the train which was car #81-502. This car is significant as it is going to be donated to Exporail after retirement. 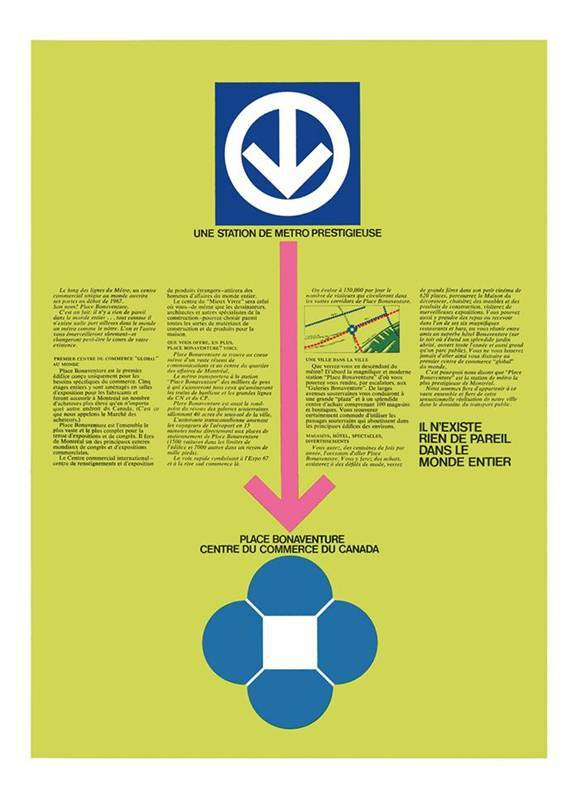 Even though it wasn�t the first car build for the Montreal Metro, it was the first car delivered. There were many press photos taken on board the car when it was first delivered. This would be the equivalent of Gloucester #5001 being put on static display instead of #5000; the TTC�s first subway car. 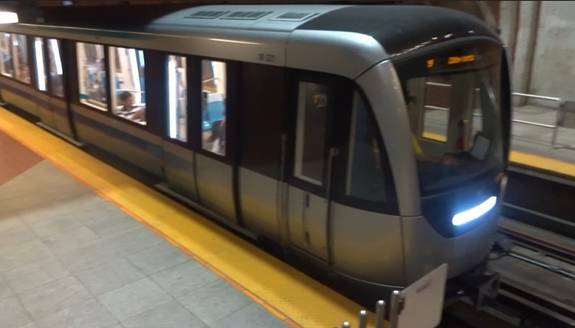 ����������� However, the TTC is doing something similar with its retiring CLRV streetcars. CLRV #4002 which was the first CLRV to be delivered to TTC in late 1977 is slated for preservation either by being kept by TTC as a historic car along with the two PCCs and Witt or donated to the Halton County Radial Railway Museum. The first CLRV built for Toronto; #4000 was sadly scrapped in late 2017. 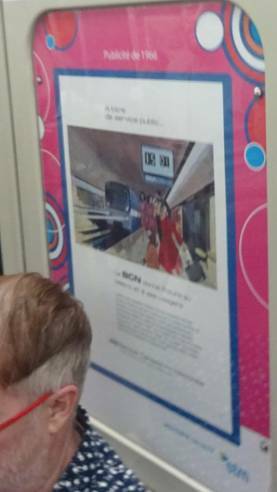 ����������� I rode in #81-502 two stops and made my way to the front of the train. When I boarded going eastbound, the train had the first MR-63 element, the 3rd element and the 16th element. This was the last active train of MR-63s. ����������� I rode the train to the Monk station; the second last stop on the Green Line. I filmed the train pulling out. As it pulled out, the driver blew the horn. ����������� I went up to the street. I was hoping to ride one of STM�s electric buses. 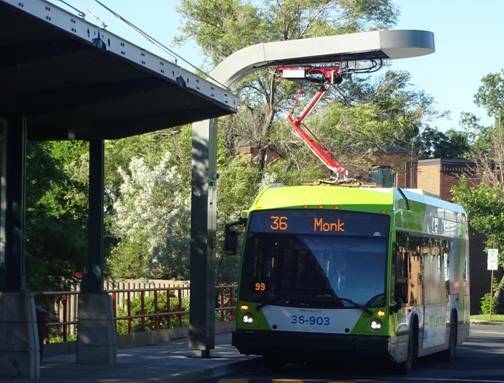 STM has a trio of 100% electric Nova LFS buses that are charged at a couple of charging stations. As a result, they are confined to one route; #36 Monk. I was hoping to ride one. ����������� I went to the street and waited. However, I soon learned that the #36 isn�t frequent. I had also missed a bus going in either direction. However, I wasn�t beat yet. 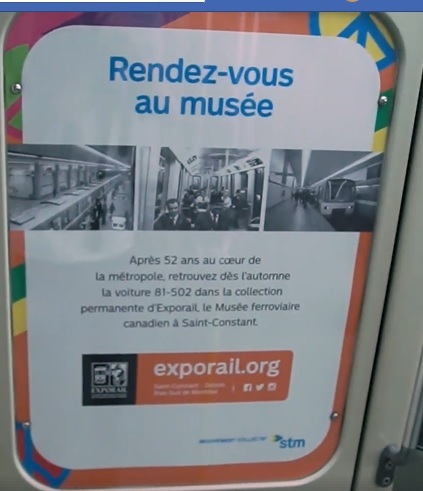 ����������� I then went back onto the subway and rode one stop west to Angrignon where the route #36 terminates. I went upstairs to the bus bay. 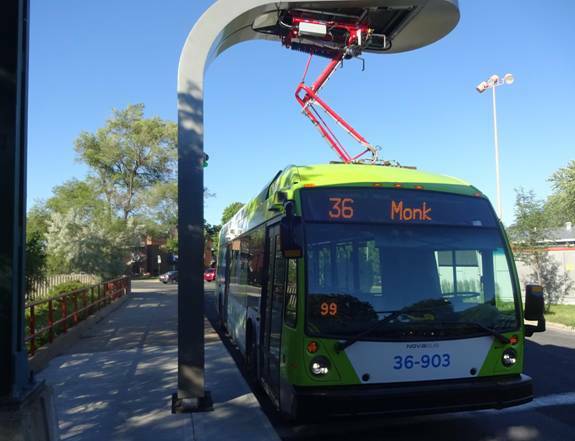 As luck would have it, one of STM�s electric buses was charging at the station! I photographed it. ����������� I waited to see if it would go into service. The next departure of the route #36 was a regular diesel LFS. I stayed being hoping the Electric bus would go out next. While waiting, I bought a chocolate bar and a Pepsi from a store in the station. 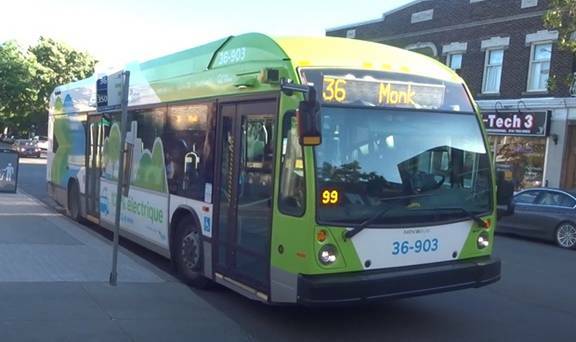 ����������� As it turned out, the electric bus was the next departure for the route #36. I saw that the pantograph that the bus was using to connect to the charging station retracted upwards into the charging station instead of downwards to the bus. The bus pulled up to the route #36 bay. I got on and sat at the back. ����������� Unsurprisingly after we left, the ride was quiet. The TTC looked into buying similar buses from Nova Bus but decided against it. They did demo other electric buses from three other manufacturers including New Flyer. I have also heard that YRT is looking to buy some electric Nova LFS buses as well. ����������� I rode to Monk station and got off. I photographed the bus and filmed it pulling away. ����������� I then went back onto the Metro and rode a few stations hoping the MR-63 train would be out still. However, it didn�t show up and I eventually rode a train to Lionel-Groulx. ����������� I went downstairs with the intent to ride to Namur on the Orange line, but I saw a westbound Azur pull in on the Green Line so I went back upstairs. I rode a train of MR-73s to Atwater station and waited for a few westbound trains hoping again that I would see the MR-63 but such was not the case. I rode back to Lionel-Groulx and took an Orange line train to Namur. I photographed the train and filmed it pulling out. 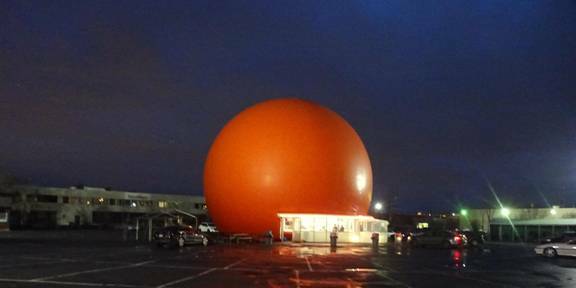 ����������� I went back to the restaurant shaped like the giant orange and bought dinner. I also bought a jug of their sweet orange juice. This was taken on my previous trip. ����������� After dinner, I walked to the Wal-Mart that was nearby. I bought a box of cereal for the next few days. After buying the cereal, I stopped by the Toys-R-Us nearby. It was closed, but it only closed for the night; unlike their American locations. I saw a sign that proclaimed they would still remain open in Canada. ����������� I then headed back to where I was staying and bought some milk. I worked on this report for a little while before I called it a night. ����������� I got up and had breakfast. I got dressed and headed out. I would do a little fanning before I would try to ride the MR-63s on the Orange Line later in the day. I went online and read about the MR-63�s morning run on the Orange Line. 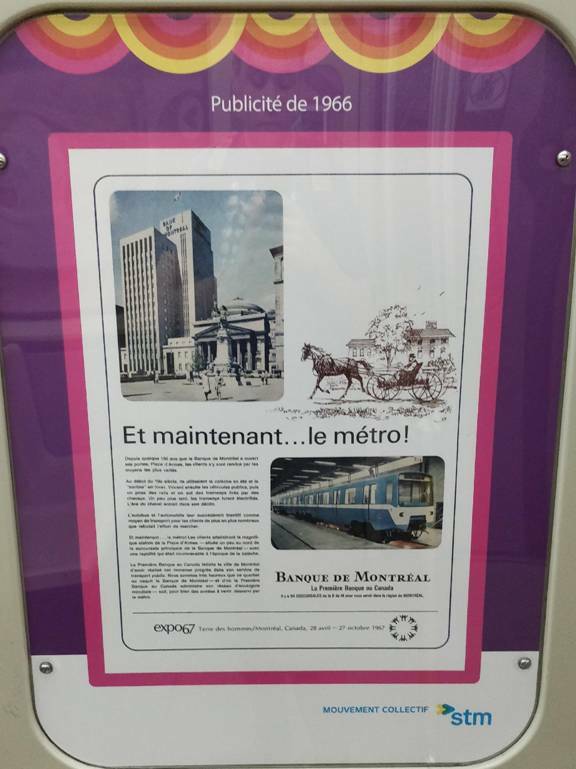 ����������� I walked to the Metro and rode to Lionel-Groulx. It was weird riding the Green Line knowing there wasn�t a MR-63 running on the line as that was their mainstay. ����������� I got off and rode to Cote-Vertu; the Northwestern terminal of the Orange Line. I looked in the tail track to see if the MR-63 train was there, but it wasn�t. I rode the train I had come in on to the Snowden station. I transferred to the Blue Line and rode to the Parc station. I then went to the nearby EXO (formerly AMT) commuter station. 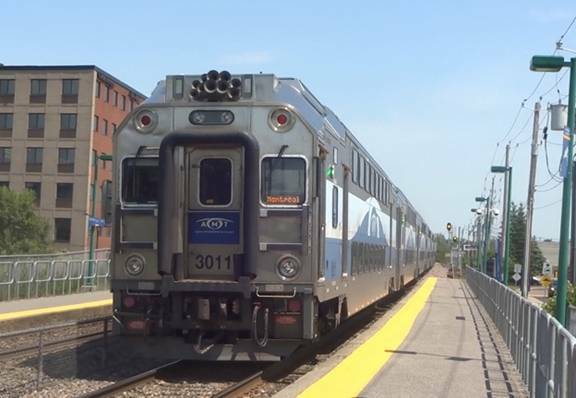 ����������� I bought a round trip ticket to Saint-Jerome and rode there on a train consisting of six of AMT�s newest bilevel coaches pushed by an ex GO Transit F59PH. Unfortunately, the zipper on my money belt broke so I couldn�t close it. ����������� I rode to Saint Jerome and then got back on the train and returned into Montreal. I got off a few stops earlier because there was a mall nearby. I was looking for a new money belt I could use in the meantime. I filmed the train pulling out. Unfortunately, this is the only shot I have of the commuter train. ����������� I looked around the mall until I eventually found a store that had a money belt that suited me. It cost $10 plus tax, but I figured it would hold out until I could get my regular money belt repaired or replaced. I then bought lunch and caught a 22-000 series Nova LFS bus back to Jarry Metro station. ����������� By now, it was after 3:00 pm so I knew the MR-63 train was already on the line. I wasn�t exactly sure where it was. I decided to try to head it off like what I did yesterday. ����������� I first rode to Mont Royal and waited for the MR-63s there. 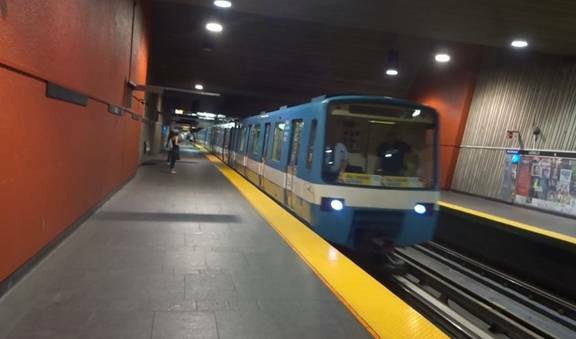 After several trains, I decided to attempt to ride to Champ-De-Mars station which is one stop south of Barri-UQAM stations which as a transfer station of three lines; (coincidentally the three where I had previously ridden at least one MR-63 train in the past) meet. ����������� At Champ-De-Mars, I got off the train. I hadn�t seen the MR-63 pass so I figured I was still good. 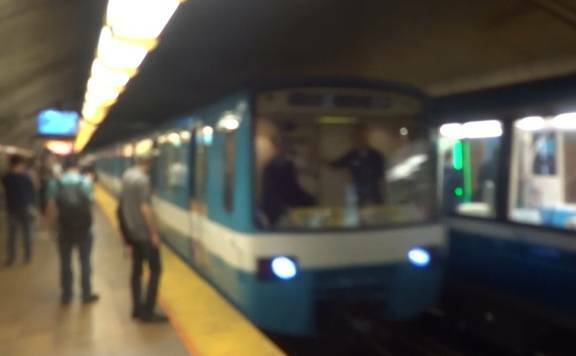 ����������� The first northbound train to arrive after I got to the platform was an Azur. At one point, the lights went out. However, the power was soon restored and the train left. A few minutes later, the MR-63 train arrived. I filmed the train pulling in. ����������� I boarded the front car which was #81-501 again. I rode to Montmorency. I got off and went to the platform for Cote-Vertu bound trains. I boarded the train and made my way to the front car by getting off at one stop and moving to the car ahead until I was in the front car. ����������� Today was only the second time I ever rode a MR-63 on the Orange line. The last time was in 2007 when I was in Montreal the night before I first rode the dome on the Adirondack. 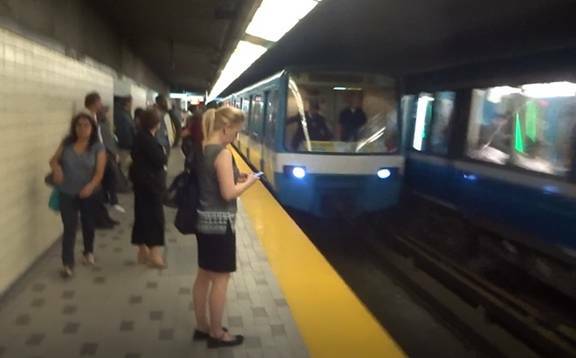 ����������� I rode to Cote-Vertu and talked with other transit fans on the train. 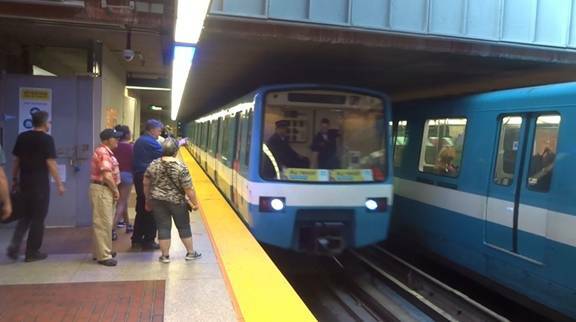 When we stopped at Lionel-Groulx station, we met a MR-73 train on the Green line. It was ironic because both trains were on the opposite lines that they were assigned to as little as two months ago! The MR-63 train was the only non Azur train on the line. Compare that to two months ago there were still a few MR-73s on the Orange Line. I ended up riding back to Montmorency at two more times before I filmed the train going out of service. 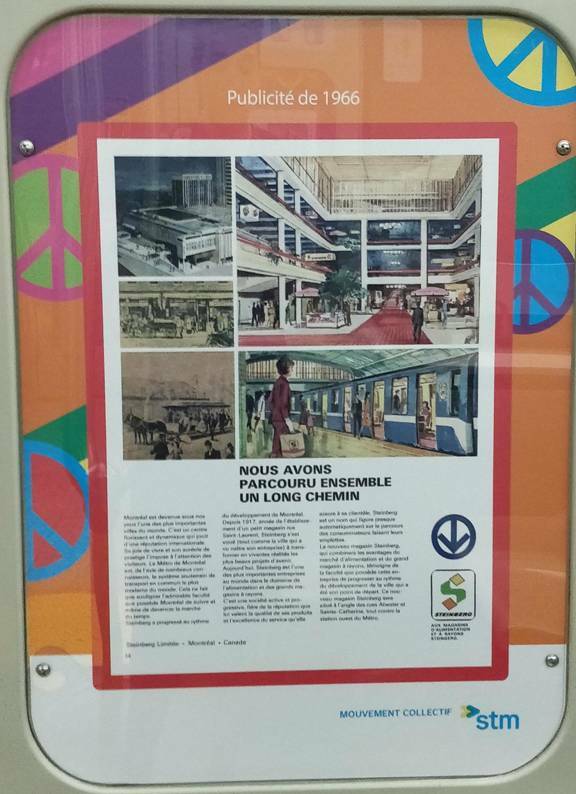 ����������� After I boarded an Azur train and rode to Sauv� Metro station and transferred to the Route #121 bus and rode across to Cote-Vertu. Sauv� is near a station on the commuter line Mark and I rode two months ago. ����������� The bus passed by a station on the Duex-Montange commuter line. I saw a train of electric multiple unit cars on the line. At Cote-Vertu, I got off and walked to a nearby Taco Bell for dinner. In 2013, this Taco Bell had actually run out of chicken when I was there! Fortunately, they had plenty when I had dinner. 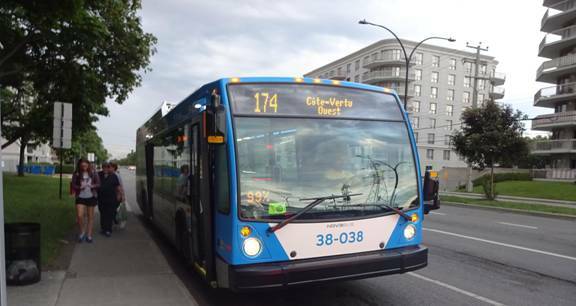 ����������� After dinner, I decided to take a ride on one of STM�s new Hybrid Nova LFS buses. After riding a distance, I got off and photographed the bus. ����������� I then filmed the bus pulling away. I saw I was near a mall, but didn�t go in. I saw the mall had a Sears department store which had closed down a few months before. From the outside, it still looked open; at least somewhat. I photographed it. ����������� I then caught a bus back to the Metro. I then returned to where I was staying and attempted to move my photos and videos to my laptop. ����������� After awhile, I set the alarm on my phone and called it a night.